Did you know that dragonflies can fly further, higher and faster than most insects, sometimes at speeds of 70km/hour? They are also able to propel themselves upwards and downwards, backwards and forwards and side to side and hover in midair. Their flying abilities are all because of their distinctive wings. The veins in the wings of dragonflies start as flattened tubes in the compact, tightly folded wings hidden inside the skin of the aquatic nymph. During the transformation to adulthood, the veins fill with hemolymph or insect blood, causing the wings to unfurl. Most of the hemolymph is drawn back into the body after the wings have been fully expanded. The empty tubes and the membranes dry, leaving crisp, tough wings. 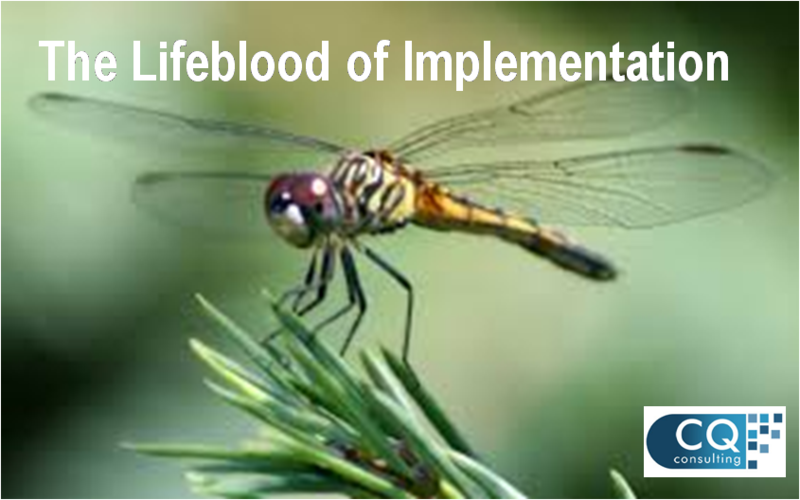 I see people who attend conferences and workshops as being like dragonflies. You head off to conference and you are excited and you get to hear many WOW things that you want to incorporate into your life. Maybe these were in one area or lots of areas. You feel motivated and excited and can’t wait to go make these things happen. You want to fly. Sadly, what will happen is that you will reach the conference room door and life will hit you. The demands on you will happen immediately with partners and kids and colleagues. Remember! You have been away from work. It will be catch-up time. Slowly the ideas you heard will fade and you won’t see the benefit in your life. Of course, it is not only at conference that you will find ideas that could benefit you. I do not want you to be a dragonfly that doesn’t fly. I want you to have lifeblood in your veins. I want you to be a Dragonfly that can fly! How do you incorporate something into your life? You have to implement it. Implementation doesn’t just happen. There are specific steps to implementation. The key to benefiting the most from a workshop or conference or maybe a book you have read is to identify one or two things you would really like to incorporate into your life. Do not choose more than one or two as then it becomes overwhelming. Identify those that resonate the most with you. Set up a PLAN with the following points. What is your goal around that idea? What steps are needed to get from start to finish? When will you START with Step 1? Who will you tell about your progress and who will hold you accountable? What and When and How will you celebrate along the way? Habits and Rituals for success – because motivation is not enough. Let’s illustrate this with an example. I spoke about the idea of keeping a family gratitude jar at one ladies meeting. This is a jar that is kept in a specific place in the home and every day each family member writes on a piece of paper about something they are grateful for and pops it into the jar. Every month the family then gathers and reads all the pieces of paper. This is a great way to bring gratitude into the home and also prevents a family getting to the end of a year and saying it was an awful year and role on the next one. It is a reminder of the awesome things that did happen in the year. Where are you now? I need jar, paper, pens, to tell family. What steps are needed to get from start to finish? Buy jar, pens, paper, meet with family, start, set up monthly tradition to share. The jar will be kept in the kitchen where every family member goes every morning to make coffee, eat cereal, make toast. Whilst they are waiting for kettle to boil or toast to cook they will write on paper. Everything they need is right there. When you have habits and rituals in place, the lifeblood in your wings can seep back into your body and the tubes will harden and allow your wings to be crisp and tough. Colleen presented The Lifeblood of Implementation at the 2014 Women in Leadership Conference. The conference had the symbol of the dragonfly. Each beautiful wing represented one of four key areas. This blog is adapted from that presentation.